If you inspect the code, you’ll see that the program flow directly follows the outline above. which you can change at your leisure. Just be sure that it is at least 2 less than NumShapes, or you will run in to errors! The more complicated bits involve the decision branch. This unfortunately required some If and Select Case blocks that clutter the code to some extent. These decision blocks control how the connections are programmed, to which shapes the connections are glued, how x- and y-offsets are specified, and what the text on the connectors should be. For instance, the “No” connector connects to the right-connection point of the Decision shape, whereas the rest of the connections connect dynamically to the shapes. Hopefully the comments in the code will explain this more clearly. Below, I’ve included a link to a Visio diagram with more instructions, a convenient “Draw” button in place, and a ready-to-go VBA project that you can inspect and alter to your liking! '// Step 1: get the flowchart template and stencil. '// We use 'universal names', which are usually U.S.
Const FlowchartTemplateName$ = "Basic Flowchart.vst"
'// Step 2: get the masters and connect. '// not typed as a master! '// Test case to illustrate adding a decision shape. '// Must be at least 2 less than NumShapes. '// which is probably the only page in the document! '// procedure), then x- and y aren't super-critical. '// layout to do a better job. shpNew.Text = i & "?" '// Set-up variables for the next round. '// Step 4: Layout the shapes and deselect. '// Tile the windows so the user doesn't freak out! CVF 3.0 Code Visual to Flowchart. A source-code flowcharting tool from Fatesoft. Fast Flowcharts An article from Mai-lan’s blog about using Visio’s mutli-form “Flowchart shapes” master. Unistep Software for animating process flow, uml sequence and other types of Visio flowcharts. John Marshall’s excellent collection of Visio 3rd Party links. Search for ‘flow’ and you’ll get lots of results! A nice user tutorial from Informit.com on creating Visio flowcharts and using custom properties, but also dabbles in ShapeSheet and report-generation. Lob für die klasse Seite und die hilfreichen Tipps immer. Ich habe hier die Automation für ein Flowchart gefunden und bin gerade auf der Suche fÜr ein Ähnliches Problem. Ich möchte noch einen Schritt weiter gehen und die nach dem Flowchart (fÜr einen Applikation) entstandenen Wireframes automatisch als Miniaturen in einem Screenflow abbilden. Momentan muss jede Seite einzeln in eine externe Visio-Datei gebettet werden. Gibts da einen Trick -> Ohne VBA zu können? Wie ich das verstehe, du moechtest jedes Blatt eines Dokus als Shape in einem Flussdiagramm verwenden. 3. Als metafile kann mann das Resultat als Shape benutzen. Ist sehr einfach klein anzupassen. This works for connecting one shape to one other shape. How would you create a flow diagram that has the following. When step 1 is done, steps 2, 3 and 4 can all start. They are not dependant on each other. Look at the decision diamnond — “3?”. There are two connectors coming out of that going to different shapes. Is that what you are talking about? Or perhaps you need to use a “Parallel mode” shape on the “Basic Flowchart Shapes” stencil. This shape has four built-in connectors that change the automation picture slightly. Attaching them per-code is a little bit different. Let me know if that’s what you want to use. Using you diagram, if I want to connect step 4 to step 5 how do I connect them without having to save the shape information like in “Set shpDec = shpNew ‘// save dec. for later”. In my application I have a few hundred shapes to connect and would like to not have to store the shape information of all of them in case I need it later to connect two shapes. 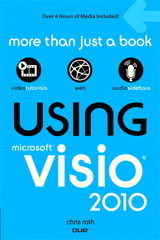 You would have to have some sort of way to identify the shape on the Visio page. One way to do this is to save a shape’s ID (ala: visShp.ID — integer) That’s perhaps a bit less overhead than keeping the whole shape object around. Or you could search all the shapes on a page and find their text using the visShp.Text property. Appreciate, if you could email this zip file, so that I can test it and use. Try it again. There was a case-sensitive problem with the link. Should work now. I am working on a .NET application that uses Visio to show flowcharts. I want the dynamic grids to be seen once a shape is dropped. I am doing the following but it doesn’t work. Looks fairly good to me. I’m not sure what your “Page” object is, and it appears you are missing a few “=”, but this might just be the blog software…? I tried this slight-modification of your code, and it seemed to work. Note the addition of: pg.Application.Settings.DrawingAids = true; to get the drawing aids to function. How could I use Visio to create a visual representation of the database RECORDS, not the table design. Thanks. I came across an article that talked about Visio 2000 being able to import a .csv file from the File-Open and would create a Flowchart for you. I am using Visio 2003 and it dosn’t support this ? How can i do something similar using visio 2003 ? Great work Visio Guy – Thanx. Ter, could you post the link you found regarding .csv imports? I’ve written some code to extract the dependencies from Microsft Access Queries and would like to integrate this into a Visio Flow Chart program. Of course this diagram is very simplistic compared to the 300+ interdependant objects in my Database – this is why a flow chart is necessary. The new Object Dependency tool in Access 2007 is helpful but not what I need. I need to see the entire chart relativity. For instance, in the above – Query 5 has a source as does Query 4 and this relationship would need to be charted as well. You may as well delete the comments they bear little meaning without the diagram. Your FC is looking wonderful. I got what I exactly want. 1. I had download your utility but when I tried to run it, says that the macros are not enabled. Contact the download site. 2. If I want to first draw the Visio Flowchart and then I want to link or play with those process boxes using VB, Do you know how to do it? If yes then please send one sort of utility which works in this way. I would like to know; how can create Container type VISIO SHAPE JUST LIKE GANTT CHART, WHICH HAS CHILD ELEMENTS ATTACHED TO PARENT FRAME. Can any one can guide me in this……..
My team and I are just starting to use Visio. Some of us have never used it before, and we are having a hard time finding the meanings behind the shapes, for example what is a paper tape, a card, a loop limit? We have looked in two different books and no answers. Are these terms that are commonly used in a different world then ours? Or is there a place where I can find out this information? Thank you for your help. I want to add custom properties to visio shape. i get some idea using this VB code, but in C# its not working. Can anybody tell me, how to add custom properties in C#. The code you’ve got here works wonderfully, and I can tie to to a database using an array variable to populate the box names. However, how can I accommodate multiple decisions in a single flowchart (i.e., box 1 flows to box 2, which is a decision. No terminates, and yes goes to box 4, which is another decision. No for that decision terminates, and yes continues to box 5. Box 5 is another decision. No flows to Box 6, and Yes skips Box 6 and goes to 7, where Box 6 also flows. How much more code would I need to make that happen? Other than using the db wizards I haven’t done this kind of automation but I can see it would be worthwhile. Looks like I have something else to read about. > connects to Site B with a Capacity C.
> a text showing the capacity. > Is there anyway that I can automate this in visio using my excel spreadheet. > appreciate it if you can provide me tips on how to automate this. Wondering if you get any solutions for your case. I have kind of same situation and love to know how you did it. I am using Microsoft Visio as a COM object in my C# application. I want to auto arrange shapes on a Visio page. What should I code for this task? The shapes are database entities. userView is name of COM object but what should SomeMethod be? Try using the Layout method on a selection or a page. Do you by any chance have code that creates an OrgChart from Excel of a database? Appreciate you. I created org chart with 300+ departments eg one Visio file with one dept org chart per page of 300+ pages .. how can I create a separate Visio file for each dept/page? I can use VBA. What would be a good process to follow? I don’t wnat to create each dept separate as that will take a very long time and this process will be repeated as people/positions come and go. i’m trying to create network diagram using c# based on your idea. I like to change the page orientation from horizontal to vertical. can this be done through c# program. I’m looking for a way to generate flowcharts from data and “Create Flowchart.vbs” is my starting point. Thanks for the hard work. Does your target shape, shpNew really have a Prop.Duration? Remember, shape data fields have a Label and a (row) Name property. “Prop.Duration” is the name. Default names are, e.g. Row_1, Row_2, Row_3. I have run it on Visio 2013 and noticed some modifications (two) to do to run it without the Run-time error and the error 91.
you need to change the “BASFLO_M.VSS” with “BASFLO_M.VSSX” and notice that in Visio 2013 the flowchart shape have not the Duration data on their shape data (this last remark is valid for the 2010 version). Now, I going beyond to Create Visio Flowcharts Programmatically based on Excel sheet. % and # and $ are used to give constants types of integer, double or string. Now, you can use PI or PI# in your code, it doesn’t matter as far as I know. I would like to generate flow chart diagrams from my c# project. How can I do it automatically with Visio? I have ~ 100 functions, so I do not want to do it by hand. I am doing a project for automation of entity relationship diagram in c-sharp , and I have extracted entities and their relationship from text of data requirement, and I am required to use Visio for displaying the ERD. How can I put entities in a Chen’s or crow’s foot template. And how to connect the entities with relations? Any help will be appreciated. I am adding a shape on a visio page programmatically using X and Y positions. But the problem is when the visio document page orientation is landscape, shape is placed on a different position. I want to know if there is any way to know the orientation of page programmatically so that I can place the shape accordingly. I am looking to generate a Flow chart directly from Excel. However I am unable to. I do not know any programming language? Using Vision 2010 and Excel 2013. Or I have to wirte a code and than do? I also want to implement the same which Vik and Chaitanya wants to do . Programmatically create Visio flowchart based on Excel Data. This article(Create Visio Flowcharts Programmatically), the code, is one of the most useful code that many programmers have used, modified, or which inspired to create an automated action in visio. Have a programming good day! !